Ancient Sanskrit name Suvir (सुवीर) means hero, warrior or a very brave person. Reference of Suvir is found in various Epics like Riga Veda (ऋग् वेद), Arthav Veda (अथर्व वेद) and Vajsaneyiya-Sanhita (वाजसनेयि-संहिता) in which Suvir means heroic or warlike. Suvir is also another name of Lord Shiva and Lord Vishnu as found in various Epics of Hindu mythology. This name also finds reference in Vishnu Puran where Suvir means his various auspicious movements as he has various auspicious movements towards the heart of yogins, the sun's disc, the milky ocean, etc. Suvir also finds mention in the Mahabharata (महाभारत), Harivansh (हरिवंश) and Bhagvat Puran (भागवत पुराण) as the name of several men. Suvir was a son of King Dyutiman as per mentioned in Mahabhata. Also in Purana Suvir was found as a son of Ksemya (क्षेम्य), a son of Sibi (शिबि ) and a son of Devasravas (देव-श्रवस्). 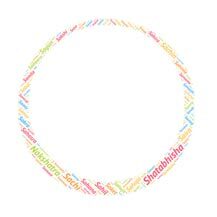 According to the graph shown above Suvir is a somewhat popular name in the USA. Suvir is adopted by nearly 30 people in the USA as the name of their kids. Suvir is a bit famous in India. Here Suvir is adopted by less than 70 people as the name of their kids. Suvir Saran, is an accomplished chef, cookbook author, educator as well as a farmer who specializes in bringing Indian cooking to the American kitchen. Suvir Varma is a Partner in Bain & Company's Singapore office and heads the firm's Asia Pacific Private Equity Practice. Means "quiet, calm" in Sanskrit. The word Ahalya can be divided into two parts: a (negation) .. Ancient Sanskrit name Sudhanshu (सुधांशु) literally means mo..
Tapaswini (तपस्विनी) is ancient name of Sanskrit origin whic..
Sanskrit name Pragya literally means wisdom or intelligence. Sanskrit name Sahoja means Produced by Strength or Full of S..